September 7, 2017 – Steve Nerem is bringing the University of Colorado Boulder aerospace perspective to a wider audience. The 17-year faculty member of Smead Aerospace has been appointed to the National Academies of Science, Engineering, and Medicine’s Committee on Earth Sciences and Applications from Space (CESAS). The committee is an independent voice that shapes federal goals for space-based scientific research of Earth, and provides objective oversight of the United States’ Earth science enterprise. It seeks to better understand the Earth and its response to natural and human-induced changes in order to improve prediction of climate, weather, and natural hazards for current and future generations. Increasing global engagement is a strategic goal for the College of Engineering and Applied Science, and Nerem’s service gives him and CU Boulder a voice as the committee oversees the development of a major report, the decadal survey for Earth sciences, due later this year. Once released, it will provide recommended earth science research priorities to the federal government for the next ten years. Nerem’s background is ideal for the committee, having nearly 30 years of related experience as an aerospace professor and former geophysicist at NASA. 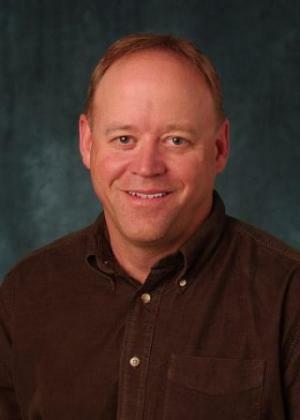 He is the Associate Director of the Colorado Center for Astrodynamics Research, which works extensively on satellite remote sensing of our Earth and other planets, and is also a fellow of CIRES, the Cooperative Institute for Research in Environmental Sciences, a CU Boulder and NOAA partnership dedicated to advancing understanding of Earth’s environment and our relationship with it. Nerem joins four other colleagues serving on National Academies boards and committees, including Bobby Braun (Vice Chair, Space Studies Board, and NAE member), Norman Pace (Committee on Astrobiology and Planetary Science, and NAS member), Jeremiah Darling (Committee on Astronomy and Astrophysics), and Michael King (CESAS and NAE member).